Cheesecake has long been a personal favorite, dating back to when my mother would make those no-bake box mixes. 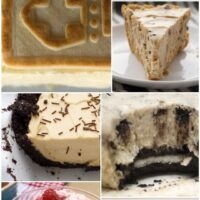 Over the years, I’ve made many a cheesecake myself, although I tend to like the homemade versions better. It’s simple to make your own cheesecakes, especially if you go the no-bake route. 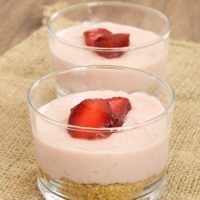 This particular recipe combines just a handful of ingredients with fresh strawberries for a springtime dessert treat. My spring fever generally involves the urge to bake with berries. I found some particularly lovely strawberries and immediately wanted to turn them into a cheesecake. With Easter upon us, I thought it would be nice to dress them up a bit by assembling smaller versions. I used some of our favorite wine glasses that were just the perfect size. I started with a brick of Philadelphia Cream Cheese, my go-to brand for as long as I can remember. Philadelphia has been setting the standard for cream cheese since 1872. Philadelphia is my cream cheese of choice because of their product standards. It starts with fresh local milk and real cream, and ends as cream cheese in their refrigerators within 6 days. Their original cream cheese has no preservatives. 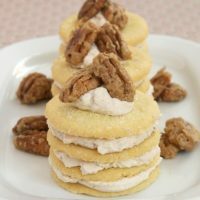 And, they use real ingredients, like the pecans in their honey nut spread. The end result is a lovely dessert for a small spring gathering. If you are making dessert for a larger crowd, this recipe will scale very easily. Grab your favorite set of serving bowls, small glasses, or use a variety for a fun dessert display. 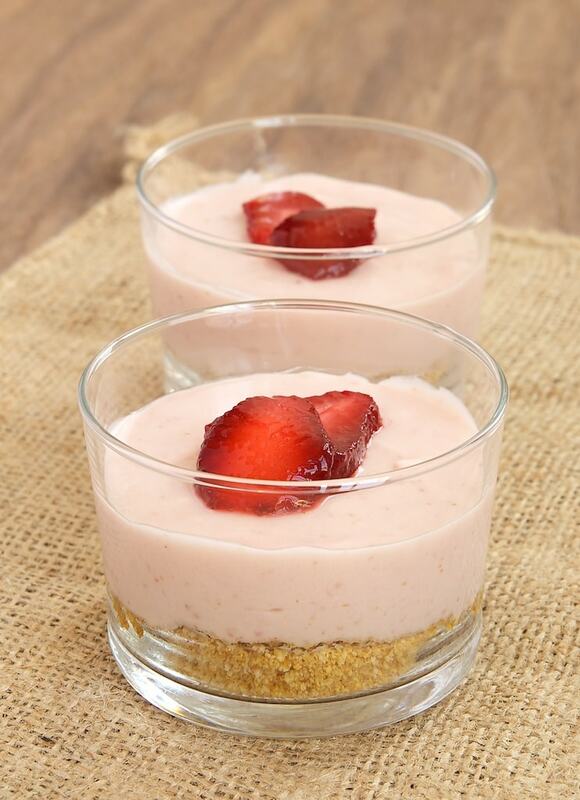 Enjoy these Strawberry No-Bake Cheesecakes while keeping the oven off! Combine the crumbs and melted butter until the crumbs are completely moistened. Divide the crust mixture evenly among 4 small glasses or bowls with at least 1/2 cup capacity each. Press gently into the bottom of each glass. Place in refrigerator. 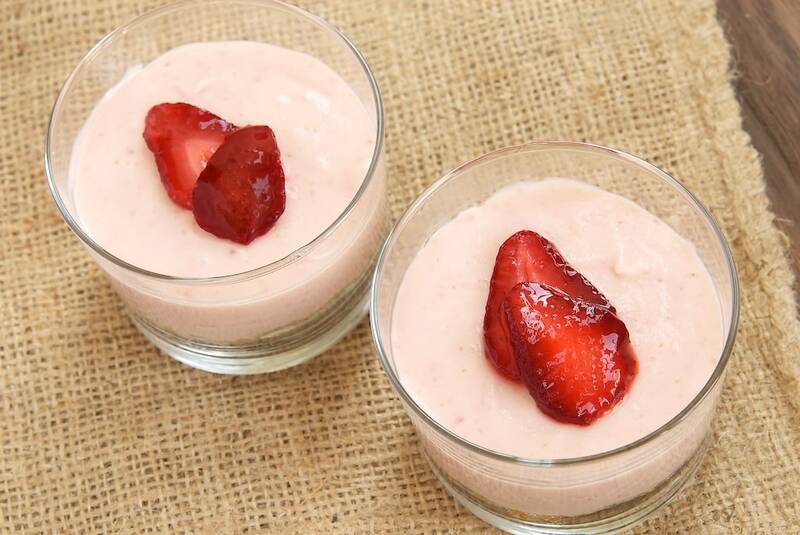 Place the strawberries and 1 tablespoon sugar in a blender or food processor. Process until puréed. 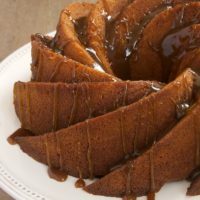 Using an electric mixer on medium speed, beat the cream cheese, 3/4 cup sugar, and vanilla until smooth. Add the strawberry mixture and mix until combined. Divide the filling among glasses, spreading the filling evenly. You’ll use about 1/4 cup of filling per cheesecake. *For a simple variation, substitute fresh lemon juice. Hi Jennifer, This looks delicious, like the fact that it is a no-bake recipe. Just pinned. I can make this gluten free and dairy free! Yay! Thank you! Wow, I looked at these and thought for sure they would be way more complicated to make. How great that they look so yummy and they are so simple! I love a good no bake recipe for the summer time. So nice to see this is gelatine-free too. Perfect! Cheesecake is one of my all time favorite indulgences, and I love that these are no bake. Perfect for warm weather when I want that oven OFF. 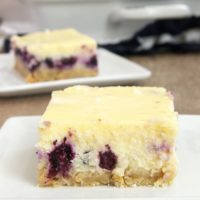 Cheesecake is one of my favourite desserts – love this recipe Jennifer. Thanks for sharing! Wish Philadelphia Cream Cheese would be more readily available in my country (Argentina). Was for a while but has disappeared from shelves for nearly a year now. 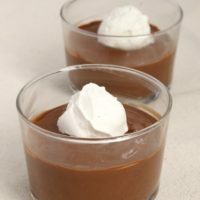 By far the best for its creamy, silky texture. 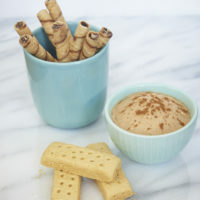 Will try these no-bakes for my next get together with friends! These look delicious! Could you tell me the measurement in cups instead of the 2 1/2 ounces graham cracker crumbs? Don’t have an accurate scale right now. Thanks! Hi, Janet. You’ll need just shy of 2/3 cup. Could I make this in one dish, if so what size would you think I need? Hi, Bertha. I would try doubling it for a 9-inch pie pan. If it’s not quite full, you can always add a layer of sweetened whipped cream on top if you like. You’ll need more crust mixture, like the crust recipe in this cheesecake. I am obsessed with no-bake desserts! Your strawberry cheesecake is amazing! I found your post from Pinterest! Thanks for sharing! 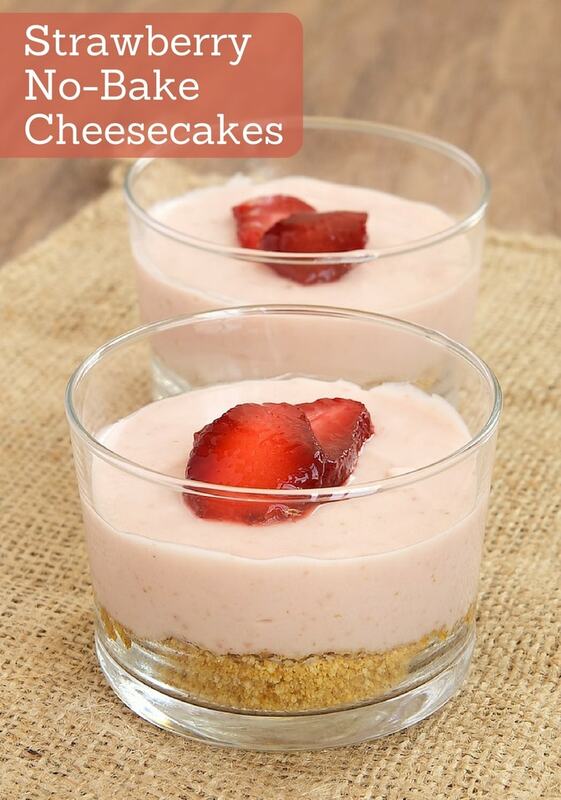 These strawberry cheesecakes are stunning. I’m not a talented baker, but I would love to give these a try!